This modern object will showcase trinkets, treasures, or other small objects you decide to place inside. Rounded corners and thick walls, the lightweight pressed cork is a nice contrast against the heavy glass top. 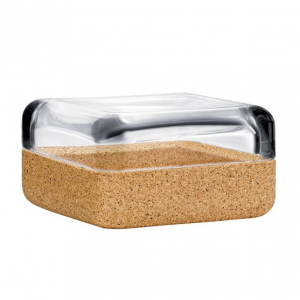 4-1/4″ x 4-1/4″ glass top and cork bottom container.